A must see video on what really happened on the "peaceful" boat. This is a video you just have to watch! 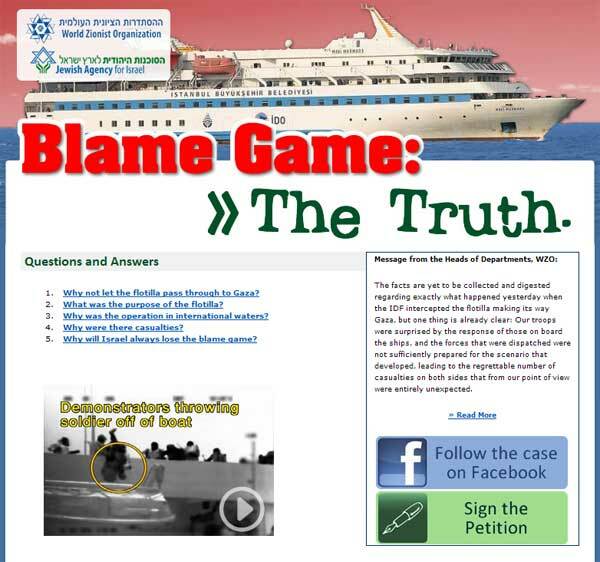 Learn the truth about what really happened on the flotilla boat! 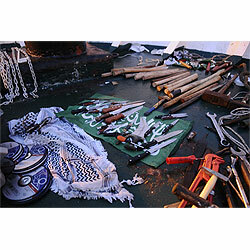 After passengers on board the Mavi Marmara departed the ship at the Ashdod port, security forces began checking the boat and found a cache of weapons on board. WE know, usually we send you mail about jewelry, special offers coupon and more, but the filling here in Israel, is that we have been left with no alias out there. While we are the actual victims here - Arab-Oil-Money and the International media are trying to isolate Israel. Please follow the link below to know what really happened on this boat of terrorists. Don’t just read - forward this link to your friends so they can know the truth also. .
Don’t forget to tell your friends the truth! Remember, the last person who so brutally fulled the eyes of the world and blamed all sickness of the world on the Jews ended up dragging the entire world to 6 years of world war and was the responsible for the death of 73 million people, his name was Adolf Hitler. You can prevent the next war today!